The author asks whether Cambodia's position as the region's most corrupt state presages the fate of the region as a whole. ASEAN's 50th anniversary last month prompted one enthusiastic commentator to suggest that the organisation deserves a Nobel Prize but a recently published book by a long-time observer of Southeast Asian politics offers a rather more sceptical view. 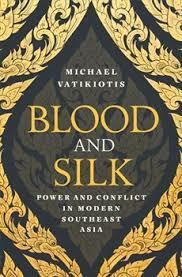 In Blood and Silk: Power and Conflict in Modern Southeast Asia, author Michael Vatikiotis concludes the organisation’s requirement that 'all decisions are reached by consensus...means that nothing very much is achieved in policy terms and it takes close to a decade to reach any decision of substance'. This judgment is indicative of the concern with which Vatikiotis examines the politics of the individual ASEAN countries as well as the region as a whole. Vatikiotis writes with a deep knowledge of Southeast Asia accumulated over his many years as a resident, beginning in 1979 and including his time as editor of the much-lamented Far Eastern Economic Review. Importantly, he is unafraid to make often sharp criticisms of the policies followed by the governments of the 10 counties that make up the region. The book is not an autobiography but it does reflect some of Vatikiotis’s experiences as a student of both Thailand and Indonesia, as well as his current role as a conflict mediator. And while the personal anecdotes that scattered through the book are always relevant to broader issues, knowing the author is fluent in both Thai and Indonesian adds to the convincing tone of the writing. At first glance, many of Vatikiotis’s observations are surprising. While is not unusual for analysts to reflect on the extent to which Sukarno of Indonesia and Sihanouk of Cambodia both benefited by presenting themselves as enshrining traditional roles of leadership, Vatikiotis offers another, more left-of-field pairing. This is his suggestion that Suharto and the late King Bhumibol of Thailand presided over 'societies that developed profoundly unequal, unusually rich and often repressive hierarchies of officialdom in support of their peerless leadership'. the spread of conservative Islamic mores in societies once considered 'moderate' or 'tolerant' threatens to undermine assumptions of pluralism that underpin the regions stability. He draws particular attention in this regard to the protests mobilised by the Islamic Defenders Front in the lead up to the sentencing of Ahok in Jakarta. Writing of developments in Myanmar, Vatikiotis provides the essentials of a case that has only worsened since his book was published earlier this year. Burmese Buddhist chauvinism has become all too clearly a leitmotif of contemporary Myanmar. ...bridled by inhibitive political cultures: the Philippines as a 'prisoner of oligarchies' while Vietnam is a state in which the Communist Party 'monopolises power, using often-harsh measures of repression with no sign of a counter-revolution. In his concluding chapter, Vatikiotis offers a view of several countries in Southeast Asia that will raise hackles, both among the leaders of those countries and many academic observers. To give three examples, he writes of Indonesia's 'enduring fragility', of the Malaysian government's allowing 'Muslim clerics to declare liberal Muslims deviants', and of Thailand as a 'singularly archaic state that has managed to perpetuate the power and privilege of a narrow-based courtly elite'. Less fully convincing, at least for this reader, is Vatikiotis' attempt to look 30-plus years ahead to 2050, by which time he suggests the countries of the region will have lost the minimal advantages of trade and security stemming from ASEAN membership and will be subject to serious environmental challenges. On the latter, I am in agreement, at least as far the Mekong River system is concerned. Otherwise, my own inclination is that to predict 30 years ahead is a leap too far. The author concludes with a downbeat observation, asking whether Cambodia's position as the region's most corrupt state presages the fate of the Southeast Asian region as a whole: a cycle of relentless tragedy; partial recovery; then relapse. This is surely too apocalyptic a vision, but in asking the question Vatikiotis has marshaled his facts and arguments in such a way that this book deserves to be read by all with an interest in the region.